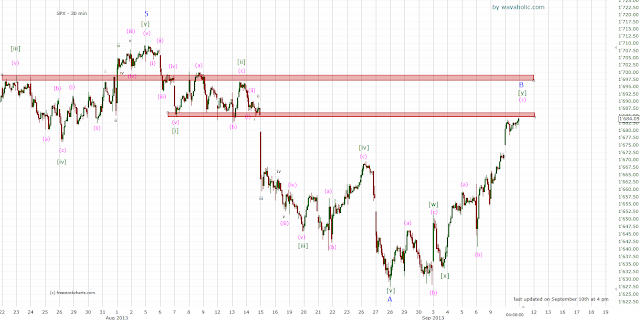 1685ish is pretty much the maximum allowed for this wave B. If we break above it, something else seems to be underway. A convincing break below 1665ish should be a good indication that wave C of (4) (link to medium-term count) is underway. The target for wave C would be 1600ish.